I started with ivory fondant that I then added extra AmeriColor ivory to darken it. 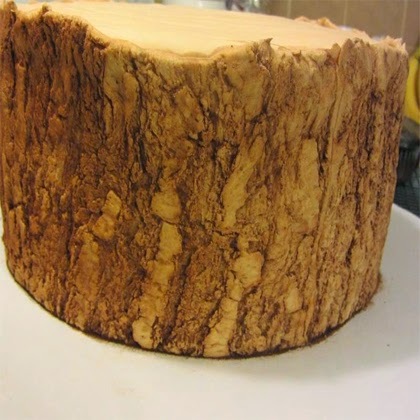 Then using the Oak Tree Texture Mat I rolled out a section at a time to cover the cake. I place the fondant over the mat and roll until I can barely see the texture through the mat.